Hi friends! I made my first pair of leggings! It wasn’t too long ago that I was pretty sure I wouldn’t ever need to make leggings. I really only wear them for working out or under the occasional dress. My workout leggings are from Old Navy. They fit pretty well and mostly stand up to my workouts with the occasional tug up if they start to slip when I’m doing something horrible like burpees. But I had some active wear fabric hanging around in my stash and I knew eventually I wanted to try to replace those badly fitting black leggings with some that I could pull all the way up to my waist. I have the Ooh La Leggings pattern from Papercut Patterns and I was planning to try those, but I keep wondering if all of those seams will bother my legs on something so fitted. When Helen from Helen’s Closet released the Avery Leggings I ordered that pattern so fast! The thing that most drew me to it was the crotch gusset. I knew if I was going to make leggings for working out that I wanted the gusset for maximum range of motion. I also liked that this pattern has minimal seams (no outer leg seam) and two options for the height of the waistband and leg length. PLUS, I loved seeing the leggings on models whose lower bodies look similar to mine! Hooray! The problem with the leggings having no outer leg seam was that I got really confused about how to grade out at the hips since my waist fits in the size L and my hips measure in the XL. I ended up e-mailing Helen and she quickly got back to me with the recommendation that I grade the waistband from L at the top to XL at the bottom, cut the upper part of the leg piece at XL and then taper back to an L from the upper thigh area down to the hem. She said the pattern is made to be quite fitted so I would probably be OK cutting a straight size XL through the waist and using the elastic waistband to tighten it more, but I decided to try grading the waistband on this first pair. I had a really hard time deciding which waistband height to use so I went crazy and cut right between the two for a mid-rise option. My leggings hit me right at my belly button and they are perfect! I love that there is a hidden elastic band in these leggings. I’ve worked out in these a bunch of times and I haven’t ever had to pull them up. Woo! The gusset allows for maximum movement and is actually pretty fun to sew, too. There are two lengths included in the pattern and I cut the shorter length. They were still pretty long on me so I cut off 3″ and hemmed them at this ankle length. I made the super awesome discovery that if I cut them at the shorter length with my mid-rise waistband that I can fit them onto 1 yard of 58-60″ wide fabric. I love that these are a quick project that takes very little fabric! I pretty much wasn’t buying leggings before but I certainly won’t buy them again. Oh, one little problem I had with this pattern is that the markings that differentiate the front and back waistband pieces are on the bottom of the waistband. That is helpful for when you attach the waistband to the legs but before you sew that seam the waistband and waistband facings are sewn together at the top and the hidden elastic is enclosed. The notches on the tops of the front and back waistbands are the same. On this pair (and the next pair I made! Duh!) I managed to the get the waistband facing flipped around so I have a front waistband matched up to a back waistband facing and vice versa. When I made these Avery leggings I wanted a longer sweatshirt to be able to pair with them. I had never made the Halifax Hoodie before and I’d been wanting to make it for so long. If you search the Halifax Hoodie hashtag on Instagram there is just a ton of great inspiration. I had a few ideas for hacks but in the end just went with straight View D. I used to have a sweatshirt from Gap that I loved so much and this view was the closest to that old favorite. I have mentioned this a few times recently, but I have been on a big Hey June Patterns kick so far this year. 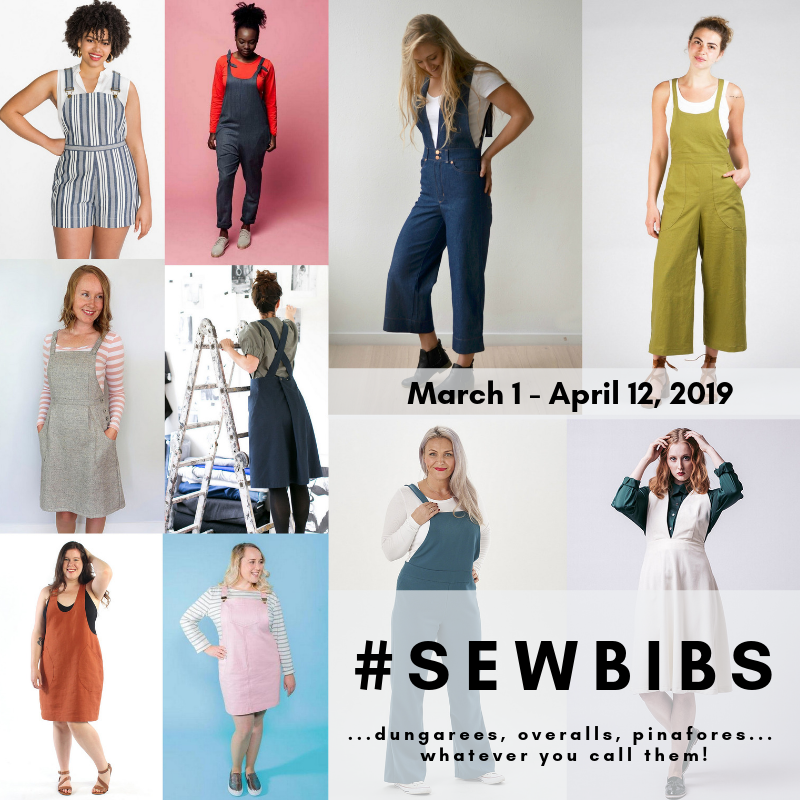 I love Adrianna’s patterns so much– they fit really well, the instructions are super thorough, and they are garments that work perfectly for my everyday life. I tried out the french terry from Raspberry Creek Fabrics for the first time and I love it! It’s a light weight, stretch knit. I love having some spandex in french terry to keep it from bagging out with wear. This oatmeal color is a great neutral. I want to get some of the heather grey to make one of the other Halifax views. This is my perfect outfit for days when I want to be super comfortable for cleaning the house or maybe those rare times of just lounging around. Have you made either of these patterns before? This outfit is so cute, Teri! Can’t wait to see the other versions of your Avery leggings too! Thanks, Abbey! It is such a comfortable outfit and I love that I finally got to use this fun green fabric for the leggings. Looks very comfy. What fabric did you use for the leggings? Like you, I have one pair of RTW leggings that kind of fit. It would be nice to have a pair that actually fit. The waistband on these looks awesome and I like that there’s no side seam. Thanks, Masha! This fabric was a destash from someone that I got on Instagram a few years ago. I’m pretty sure it’s a cotton/supplex blend. I got some of the cotton/supplex that is currently in the Indiewsew shop and it’s pretty similar. (I really like the activewear fabrics that are in the Indiewsew shop right now. I got a yard of the cotton/supplex in the emerald green and the other one that is like a heathered stripe. They both made great leggings!) I’m trying out a rayon/spandex jersey for my next pair and I’ll post about how that goes, too! Loving this post! Thanks for sharing! I’m definitely loving the Halifax Hoodie paired with the French Terry from Raspberry Creek – definitely a comfy combo! I think you might have inspired me to try out leggings now! Thanks for the inspiration! Thank you so much! The leggings have become my fun palette cleanser between bigger projects. They are quick and fun to sew! I hope you try them! I think you look good in leggings, Teri, but I understand your feelings. I don’t like the lower half of my body much either. But you are probably not being objective because they look really cute. I have lots of leggings, and most of them are too low rise. I find when I am working out, they crawl down continuously. I have hesitated to make leggings for that reason. The leggings with a really high waist fit my lower half better since I have a short torso. I do not feel comfortable wearing them out and about without something covering my rear! I have a few leggings patterns, but I will keep this pattern in mind. Your entire outfit looks perfect for lounging, working out, or just being comfortable. I look forward to seeing your other versions. Thanks, Becky! I think I’ll feel more comfortable wearing leggings out and about if I have a tunic length top or a dress to pair with them. This sweatshirt is still a little bit short for my comfort worn with leggings outside of the house. I really don’t have many tunic length tops so that’s a whole new realm of things I can sew for myself now! What a perfect comfy hanging/working out outfit! I love it! Athletic leggings are on my list, I’m going to try one of the Seamwork patterns, I think! Thanks, Inder! Your comment reminded me that I did try to sew leggings once before using a Seamwork pattern. I can’t think of the name but it was the first leggings pattern they released. I used the absolute worst fabric and my serger ate it for lunch. They were such a disaster. I sewed these on my sewing machine then finished the edges on the serger. I definitely should have done that with those first leggings and I think they would have been much better. I am excited to see yours when you get to them! Thanks for your review of the leggings! I’ve had my eye on that pattern for a little while but haven’t quite worked up the nerve to try it yet! I feel like it can be really hard to find sweatshirt fabrics that have that perfect amount of stretch! I was really thrilled that this French terry worked out and it’s super affordable. It’s pretty lightweight but I would definitely order it again! I hope you get your perfect Halifax made eventually! And I hope you try out the leggings, too. I have nothing to compare them to since this is my first time sewing leggings, but I don’t think I’ll ever need to buy another leggings pattern!